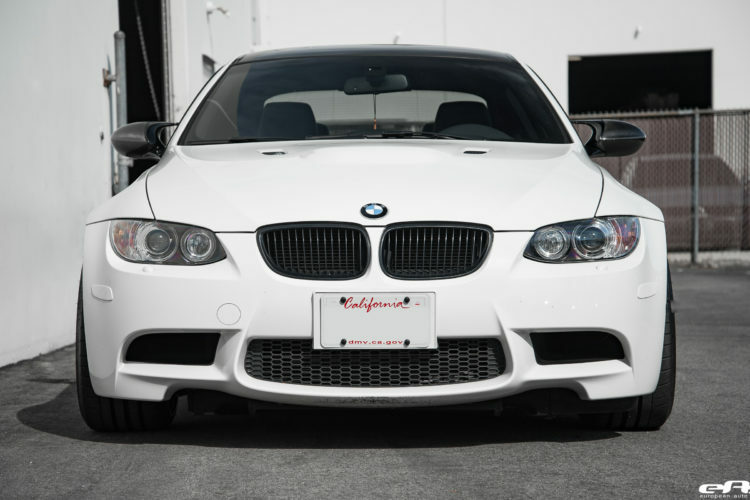 In recent years, the BMW E92 M3 has been growing in popularity and market appeal. The appealing E90/E92 platform is also the darling of the aftermarket industry. Naturally, the owners are welcoming the sudden surge in high-quality parts with open arms and are creating some rather interesting looking builds. 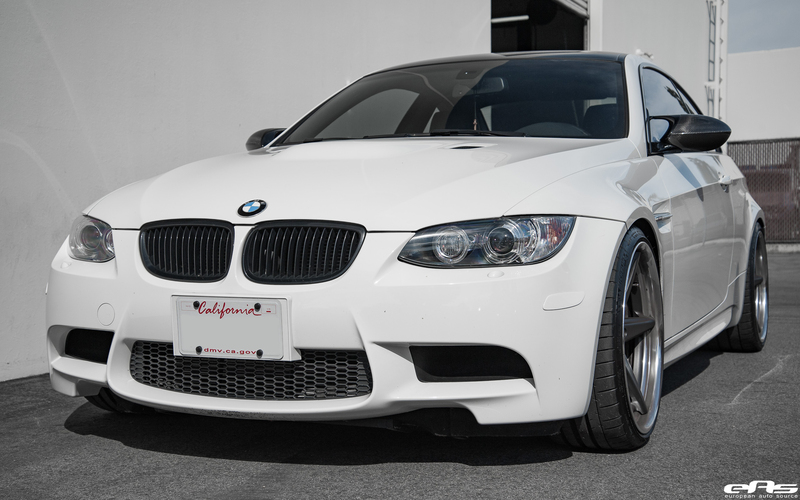 This particular Alpine White BMW M3 project comes courtesy of European Auto Source. The vehicle features a set of Vossen VWS-3 wheels installed. While these look more like a JDM aftermarket build design, the wheels actually suit the BMW M3 quite perfectly. They come in sizes of 20×8.5 in the front and 20×10.5 in the rear. The wheels feature a Matte Silver finish for the disc and polished lips, alongside the five-spoke design. Additionally, the Vossen x Work Series is defined by its two-piece welded construction. This allows Vossen to produce a variety of configurations. These for example include the Flat Lip, Stepped Lip, and Stepped Lip with Overlapping Spokes. There are also a number of assembly configurations available that facilitate a variety of aesthetics as well as fitment options. In turn, this allows the wheels to be manufactured with a deep lip and flat face or a deep concave face with overlapping spokes. Varying disc types also aid the fitment of bigger brakes. The owner also added a few aftermarket carbon fiber touches, like the front lip spoiler, carbon mirror covers and a rear diffuser as well. 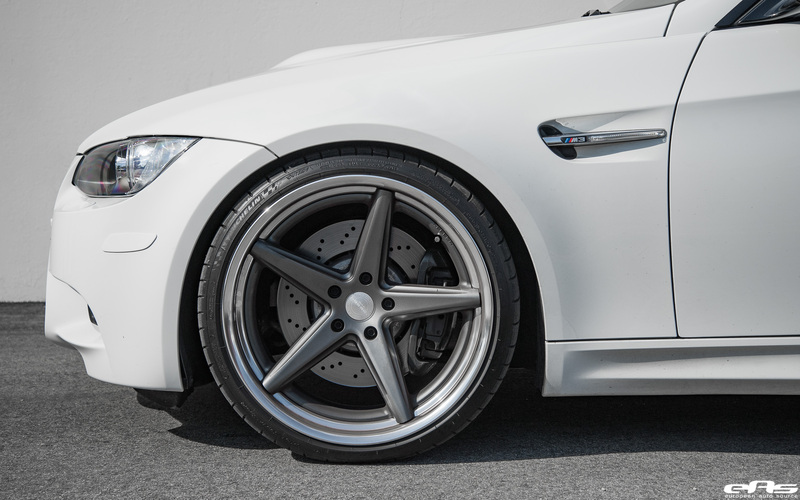 You can take a look at his lowered Alpine White BMW M3 beauty with Vossen Wheels right below. Next post Tesla Model 3 Dual Motor a BMW M3 Rival?